LONG BEACH, Calif. – Jan 30, 2017 – Epson, a leading provider of innovative business solutions, today announced Keypoint Intelligence – Buyers Lab (BLI), the world’s leading independent evaluator of document imaging software, hardware, and services, has recognized Epson’s innovation for its business printing and scanning solutions. 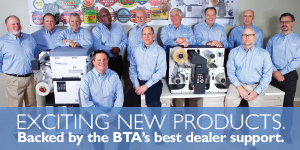 The WorkForce® ET-16500 EcoTank® All-in-One Printer received BLI’s Winter 2018 Pick for Outstanding Achievement Award in Value. The WorkForce DS-320 Portable Duplex Document Scanne also received BLI’s Winter 2018 Pick Award for Outstanding Mobile Scanner for Business. WorkForce ET-16500 EcoTank Printer: Powered by PrecisionCore®printing technology, this all-in-one wide-format printer offers revolutionary cartridge-free printing with easy-to-fill supersized ink tanks. The WorkForce ET-16500 EcoTank is designed to deliver laser-quality black text and includes up to two years of ink in the box1 — enough to print up to 10,500 black/11,000 color pages2, and equivalent to about 50 ink cartridge sets3. 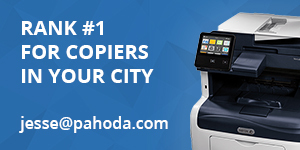 Featuring a 500-sheet paper capacity and rear specialty-paper feed, plus a 4.3" color touchscreen for easy navigation, this wireless printer can print up to 13" x 19"and can copy and scan pages up to 11" x 17". WorkForce DS-320 Document Scanner: Delivering the fastest scan speeds in its class4, the DS-320 compact duplex document scanner offers speeds up to 25 ppm/50 ipm5 and features a 20-page Auto Document Feeder (ADF). 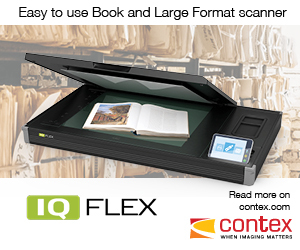 This portable scanner also includes TWAIN and ISIS®drivers for seamless integration with existing document management systems. Scan to online storage accounts6 like Dropbox® and SharePoint®, or to searchable PDFs and editable Word and Excel® files using the included software. is a one-stop shop for the digital imaging industry. With our unparalleled tools and unmatched depth of knowledge, we cut through the noise of data to offer clients the unbiased insights and responsive tools they need in those mission-critical moments that define their products and empower their sales. EPSON, EcoTank, PrecisionCore and WorkForce are registered trademarks, and EPSON Exceed Your Vision is a registered logomark. All other product names are trademarks and/or registered trademarks of their respective companies. Epson disclaims any and all rights in these marks. Copyright 2017 Epson America, Inc.
2 Yields based on the ISO/IEC 24712 pattern with Epson’s methodology. 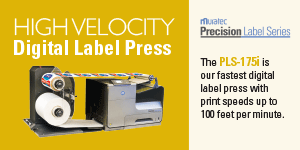 Actual ink yields will vary considerably for reasons including images printed, print settings, temperature and humidity. Yields may be lower when printing infrequently or predominantly with one ink color. All ink colors are used for printing and printer maintenance, and all colors must be available for printing. For more information, visit www.epson.com/printspeed. 3 About 50 cartridge sets estimate based on print yields of the included Black and color ink bottles as compared to standard-capacity ink cartridge sets for similarly-featured cartridge printers as of March 2015. 4 In its class, as compared to other portable consumer document scanners with an ADF, using the AC adapter and power cable, priced under $300 MSRP USD (sold into the United States and Canada as of June 2016). 5 Based on letter-sized scans at 300 dpi in Black-and-White, Grayscale or Color Mode, using the AC adapter and power cable. 6 With Epson Document Capture software installed on the connected Windows PC or Mac. Internet connection required. Epson, as well as other manufacturers, from time to time has engaged BLI to conduct testing on its product. This testing is unrelated to the awards process.